Feeding my dogs healthy and tasty options is important to me to help prevent issues as they age. One of the most common reasons I start seeing senior dogs for massages is to help ease pain associated with their joints. Arthritis, spondylosis and other degenerative diseases are painful and because of that, it starts to cause other issues, such as muscle atrophy and reduced range of motion. Typically, when a dog starts to have trouble getting in the car or unable to walk up and down stairs on their own is when the pain and degeneration are noticeable and it triggers their person to ask for help. Now, while it’s true that we can’t stop time and that we all get older – humans and dogs alike, we can help our pets live the healthy and life by making healthy choices for them. These dog treats, Charki-O’s, would be one simple way to do that! I also find these treats are also helpful when using to re-direct the dogs attention because they are larger, stinky (good smelly to a dog) and they place a high value on them. 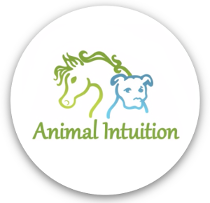 This allows them to focus on the treat, giving trainers and people a great option for modifying unwanted behavior. For smaller dogs, these treats would be better cut into small pieces. I personally did not try this, so I’m not sure how easy the cartilage is to cut through. Sorry, the afterthought is worth consideration even though I cannot share the practicality of doing it with you. These treats are available at Animal Intuition’s Edina location and offered at local, high quality pet stores such as Canine Crossing in the North metro and It’s A Pet’s Life in Edina/Plymouth, MN. Try them out today and let your dog decide!